Pavel Ciorici is the founder of WPZOOM, a WordPress theme shop based in Amsterdam who create professional and beautifully designed themes, with a focus on business, video, magazine, and blogs. Their themes are currently used by over 50,000 companies around the globe. You can find Pavel on Twitter and LinkedIn. 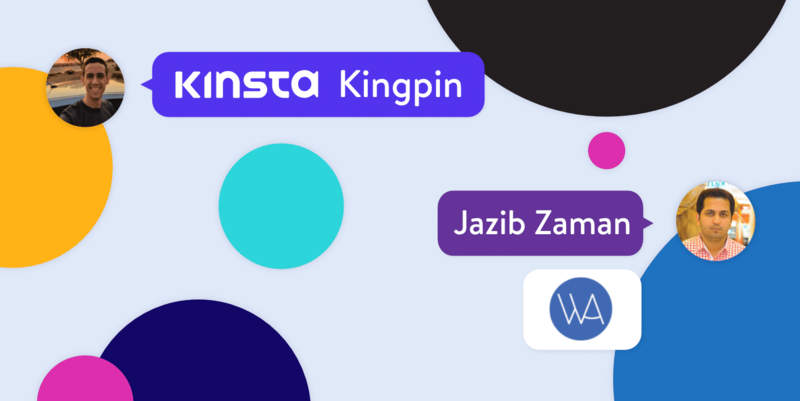 This is our recent interview with him, as part of our Kinsta Kingpin series. I’m from Moldova, but a year ago I moved together with my wife and our two kids to Amsterdam to adopt a different lifestyle, which allowed us to spend more time with our kids and have a greater impact in their life. 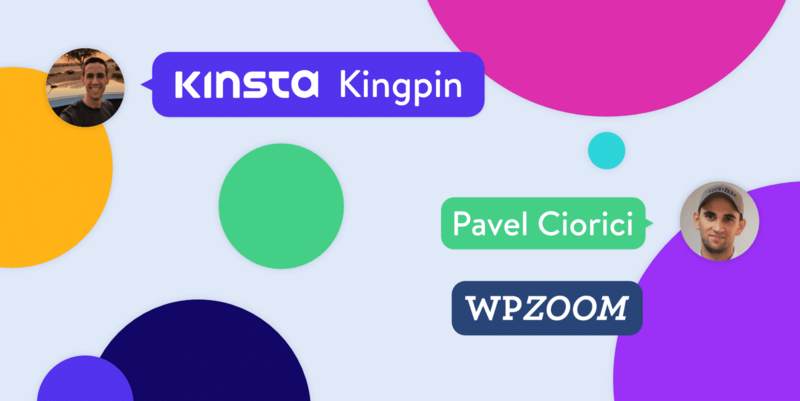 Unlike other hosting providers, Kinsta doesn't have level 1 or level 2 support reps. Our entire support team is made up of highly-skilled WordPress developers and Linux engineers, available 24x7 to help! I started using WordPress in 2005-2006 for my school’s website and my personal blog. Even though I was very passionate about web development & design, I got a degree in Business Management and Administration. In 2008, when I was still a student, I launched WPZOOM and this changed my life completely, as for more than 10 years now it’s my daily hobby & business, as I enjoy every moment I build something new for our customers. In the beginning, WPZOOM was just a simple blog with WordPress resources, mainly round-ups with new themes and when the first premium themes started to be released, I immediately did everything possible to launch one too, even though this was way out of my skills. So, it all started with my first theme called Yamidoo Magazine, launched exactly 10 years ago, in February 2009. I spend most of my time running WPZOOM, and for those who haven’t heard about us before, it’s a WordPress theme shop, with a focus on business, video, magazine & blog themes. We’re a small remote team, and I mostly take care of administrative tasks, but I also work a lot on designing and coding new themes. Our flagship products are Inspiro and Foodica themes. Both themes are very popular, and we spend a lot of time adding new features and improving them with regular updates. We’re proud to say that we have more than 50,000 customers from 150 different countries! Big names like UNICEF, Leica, Wacom are using our WordPress themes. 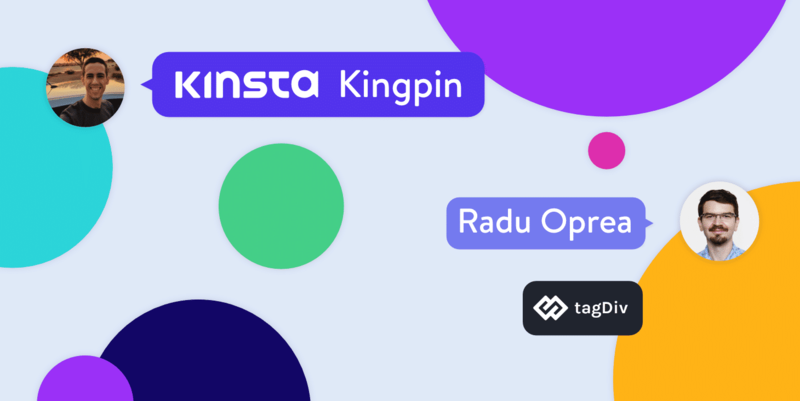 Besides themes, we also have several popular free plugins, like Social Icons Widget with more than 80,000 active installs. Currently, we don’t make any money from our plugins, but we’ll soon release a HUGE update to our Recipe Card Blocks plugin, which will also see a Premium version with even more features for food bloggers. Most of the challenges we’ve had during the years were related to stuff like the migration from a membership platform that we use on our website to another, and usually, such migrations take a lot of time, stress and even affect our theme release schedule. 2018 was also pretty challenging for us, as we’ve reincorporated our company in the Netherlands, so we’ve had to comply with many new regulations, especially the implementation of the VAT MOSS scheme, which was also very time-consuming. In the beginning we thought that it will be something easy to implement, so we didn’t consider using an existing service for handling the taxes, but in the end, we wasted a lot of time tweaking outdated plugins that promised to work out-of-the-box. Another big challenge for us was the strong competition between small theme shops like us and big marketplaces like ThemeForest. There were times when we simply couldn’t see any future for our themes, which weren’t neither “multipurpose” or cost $29 or less. However, with a good customer base and strongly expressing our quality, we’re able to convince potential customers that they don’t need a multipurpose theme that bundles 20+ plugins and 100 demos in order to create a simple blog or a simple business website. We always favor simple WordPress themes: ones that do one thing at a time, and do it good. This is seen in things like the source code of our themes being easy to read, so customers can understand even with no coding skills. My WordPress adventure started such a long time ago, that’s it’s hard to remember if there were any surprise at the time. One thing that I always admired in the WordPress world is the way competitors help each other to grow and don’t see someone else doing the same thing as an enemy. Having a strong position on the theme market, we don’t see us making any big changes in our business model in the near future. Probably we’ll try our luck with some new commercial plugins, as this may widen our audience a little bit, but we’ll continue to have themes as our main focus. 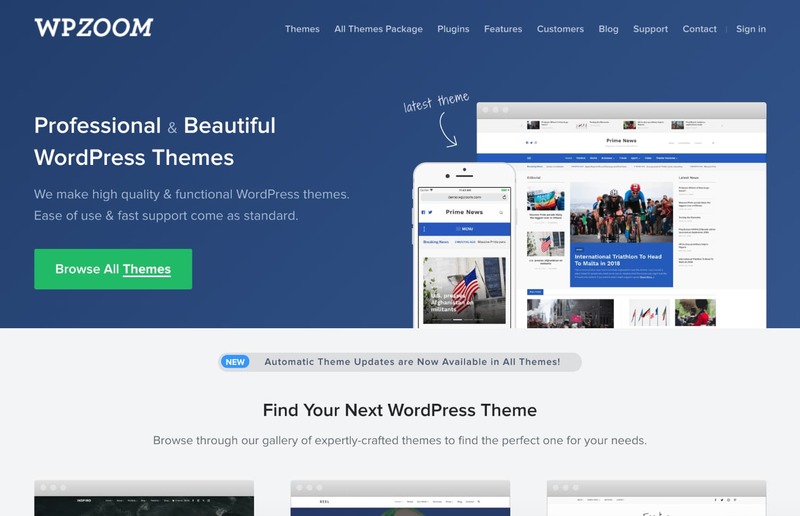 Even though we already created during the years more than 100 WordPress themes, I still feel that there are some theme niches that we never touched, so I would really like to try our luck there too. 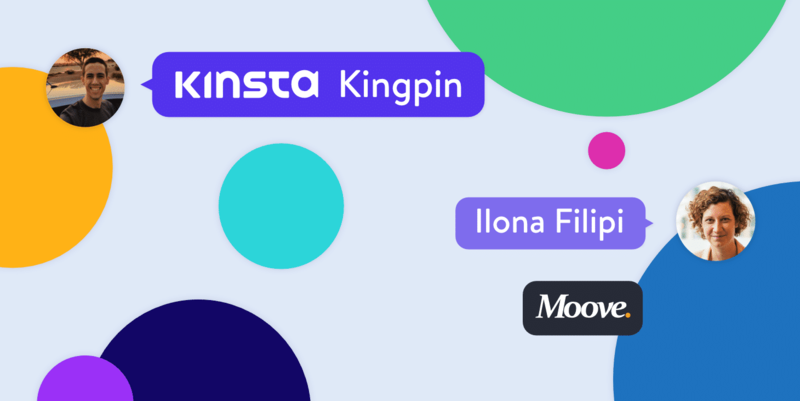 Other than that, we have big plans for our flagship theme Inspiro, and probably we’ll create more video themes soon. If we’re talking specifically about WordPress hosting, then I always appreciated hosts that don’t hinder new WordPress users’ experience by auto-installing dozens of plugins. I think that such hosting providers damage a lot the WordPress image by transforming it from a simple website platform in a bloated platform full of admin notices and callouts to different upgrades. A lot of businesses tend to forget how they grew thanks to a big community around an open-source project like WordPress, so it wouldn’t hurt if they could resist to not touch the onboarding experience of new WordPress users. Other than that, good customer support is very appreciated in a WordPress host, especially if there’s a 24/7 live chat that could help me to put my website live when it’s down, without having to open a ticket or wait for hours for a solution. Actually, I like a lot to edit travel vlogs for my wife’s YouTube channel, so yes, that’s a thing I enjoy a lot, even though I do it on my computer. We travel a lot, especially with our kids, so I make sure to carry my drone with me everywhere we go and get the right shots, so I can edit some cool videos after that. I never regret spending a lot of time editing videos, as they are a great memory from different trips. I’m also a gadget addict, and I like to buy all kind of useless gadgets which I end not using more than once. Time to time I play Gran Turismo on PlayStation, and I can’t wait for my son to grow up a little to a have a partner in video games. Definitely Dumitru Brinzan! He’s my good friend and helped me a lot to grow WPZOOM to where it’s now. He’s was my partner at WPZOOM from 2009 to 2015. He runs currently several WordPress projects, including 2 premium theme shops: Hermes Themes and Academia Themes. I’m always amazed by he manages to do all of this by himself, with no team or help from somewhere else. He also runs ilovewp and created 15 free WordPress themes on wordpress.org. Thanks for taking the time to share your story Pavel!